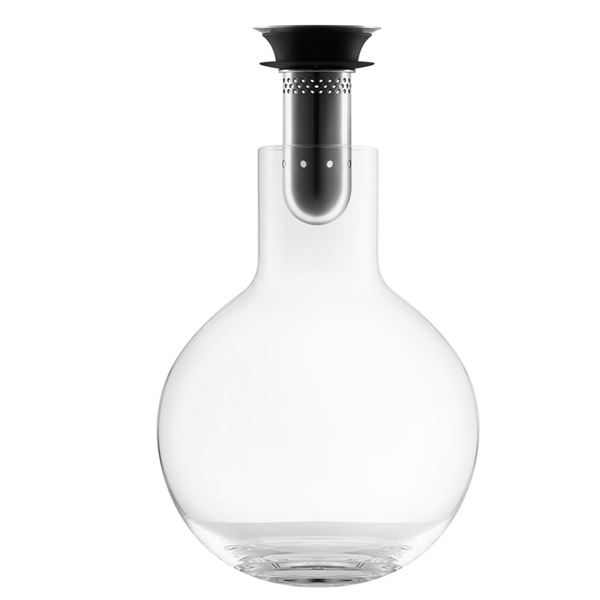 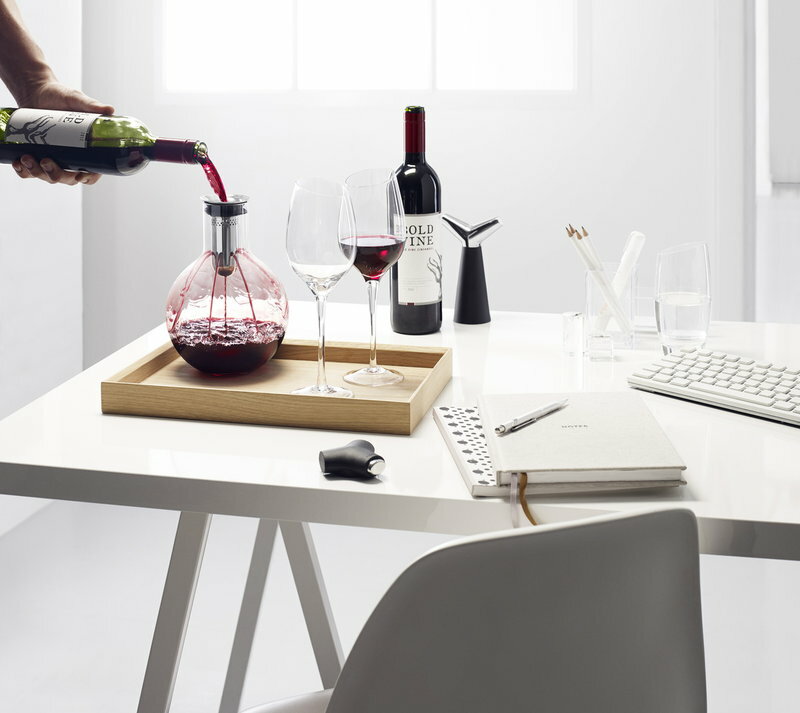 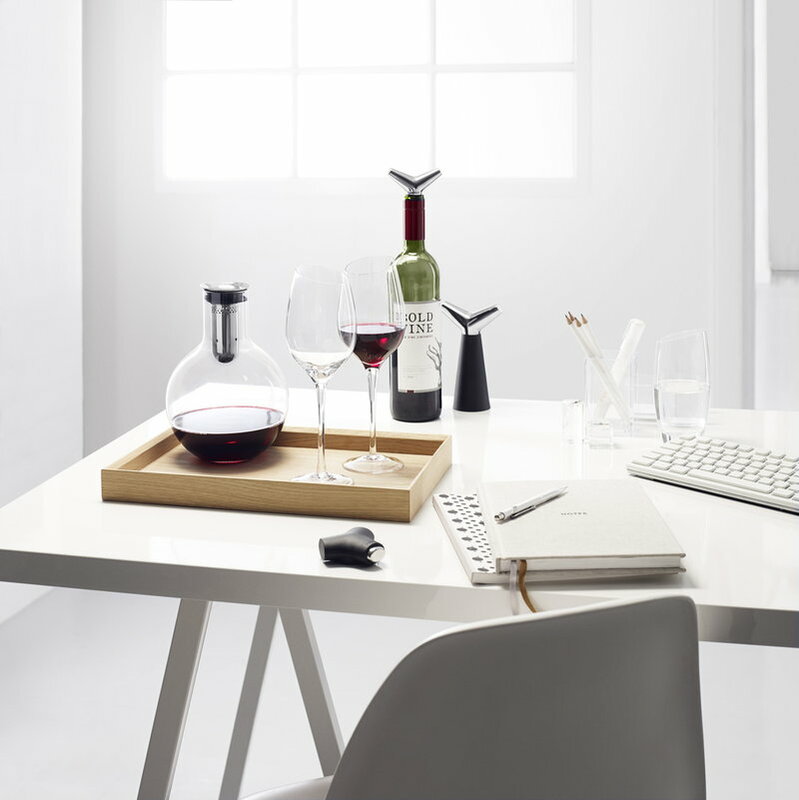 The decanter carafe by Eva Solo brings out the best in the wine. 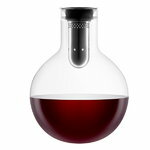 When you pour wine into the carafe, it runs trough small holes in the integrated funnel and down the inside walls of the carafe. 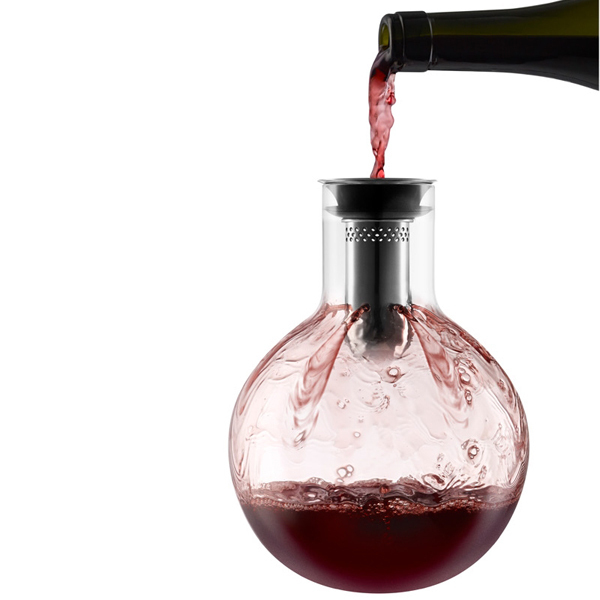 This process will oxygenate your wine in an excellent way.